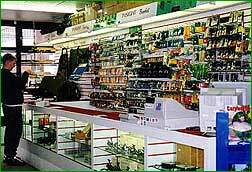 Barbel fishing tackle from Leslies of Luton. Kevin Crawley is our barbel fishing specialist. Kevin caught the barbel fishing bug in the 1970s and is an expert on fishing the Great Ouse. He has caught many double figure barbel over the years. Kevin has been intimately involved in the design of the Insight range of fishing tackle including our latest Masterpiece rod, the Record Breaker rod Stuart Morgan used to catch the former record breaking 17lb 15oz barbel and the legendary GR60 line. As a specialist supplier of fishing tackle and baits Leslies offered the first fully dedicated range of barbel fishing tackle including the Insight Wanderer range, Rods from Insight, Big Fish World, Greys, Chub, Daiwa, Shimano, Fox and Harrison, Youngs and Greys centrepins, John Baker Baits, Double T tackle, Drennan, Trakker, Owner and Korda.